Larson Electronics, a company that specializes in industrial grade lighting equipment, has announced the release of a 132 watt ultraviolet LED light emitter that offers high light output and extreme durability. Ultraviolet lights are ideal for curing coatings and adhesives, pest management, and in germicidal applications. 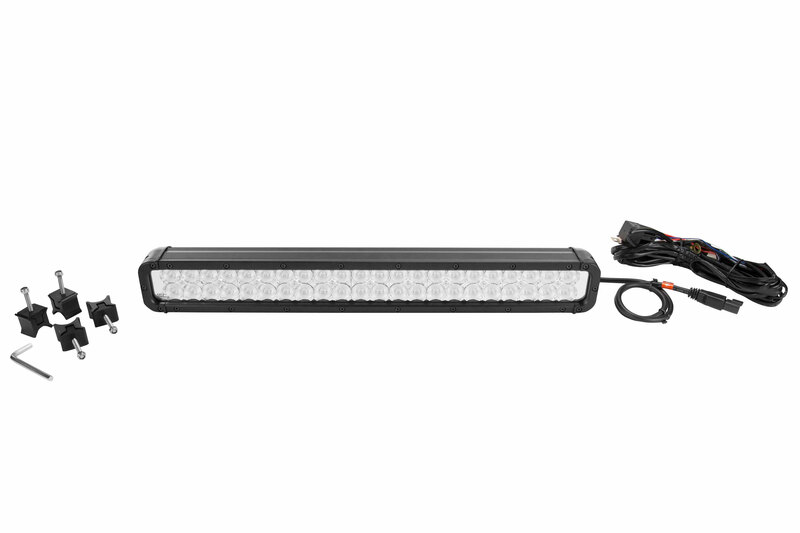 The new LEDLB-44E-UV-400NM ultraviolet LED light bar from Larson Electronics produces 176 mW/cm² while drawing 132 watts of power from a 12 volt electrical system. 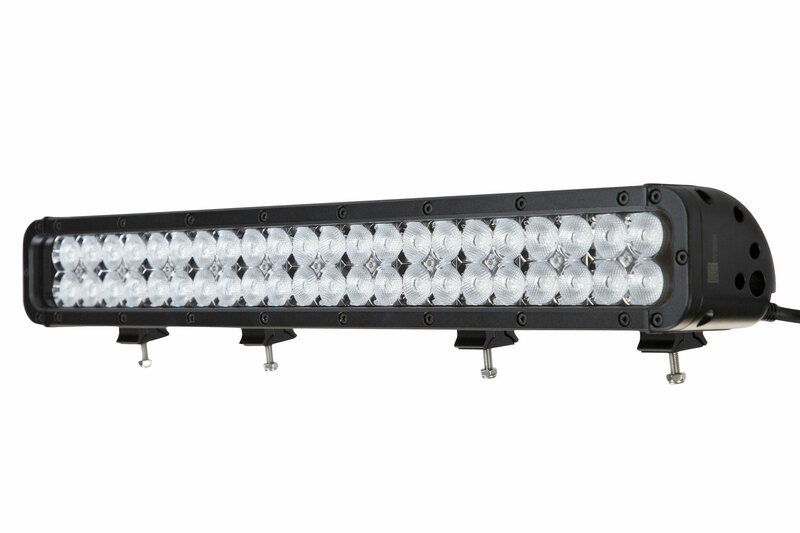 This light bar operates on any voltage from 9 to 42 volts and provides an extremely rugged lighting solution that is ideal for use in commercial marine environments, as well as industrial and manufacturing applications such as machine vision system lighting, heavy equipment illumination, blasting lighting, and mining operations. 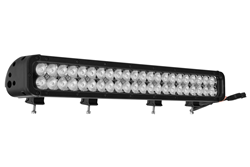 IP68 rated and waterproof to three meters, this light bar is constructed of extruded aluminum with an unbreakable polycarbonate lens and aluminum mounting hardware for extreme durability and resistance to the usual corrosive effects of the marine environment. The entire LEDLB-E series of lights are constructed of extruded aluminum and feature heavier housings, rubber isolated mounts and unbreakable polycarbonate lenses to provide increased durability against vibrations, impacts, waves, hard rains, sand and high winds. 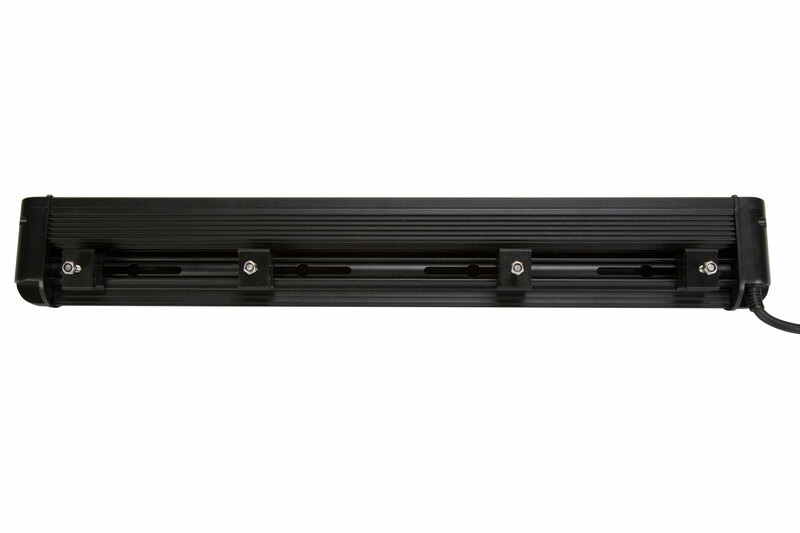 The light bar is equipped with aluminum mounting blocks which slide within the aluminum housing to allow users to adjust their positioning to match existing or user drilled mounting holes. Each mounting block has an integrated rubber bushing to absorb vibrations and shocks. The adjustable, shock insulated mounts are attached to a simple, inverted u-bracket type mount. Larson Electronics carries an extensive line of LED light towers, portable power distributions, explosion proof lights for hazardous locations, portable work lights and industrial grade LED area lights. You can view Larson Electronics’ entire line of lighting by visiting them on the web at Larsonelectronics.com. You can also call 1-800-369-6671 to learn more about their products or call 1-214-616-6180 for international inquiries.